During the demonstration, the RACs found excisional debridement coding to be the leading ICD-9-CM procedure coding error. More recently, CMS found that coding for excisional debridement resulted in millions of overpayments.Excluding breast procedures, approximately 40 DRGs are driven by skin diagnoses or procedures. 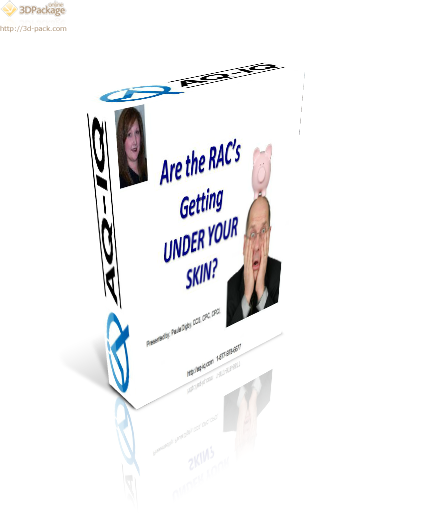 Today, 29 — more than half of those— are RAC-approved issues and include DRGs where skin procedures and skin related conditions drive the DRGs. And those DRGs allow for a recoupment opportunity of up to $18,000 per claim, depending on the DRG category billed. Whether excisional debridement can be reported if performed by a nurse or therapist. Why the statement “sharp debridement” does not protect you from recoupment. The latest on RAC focus areas for skin procedures. What the RACs are reviewing to determine accuracy. How to validate and protect your reimbursement of “skin” related DRG claims.